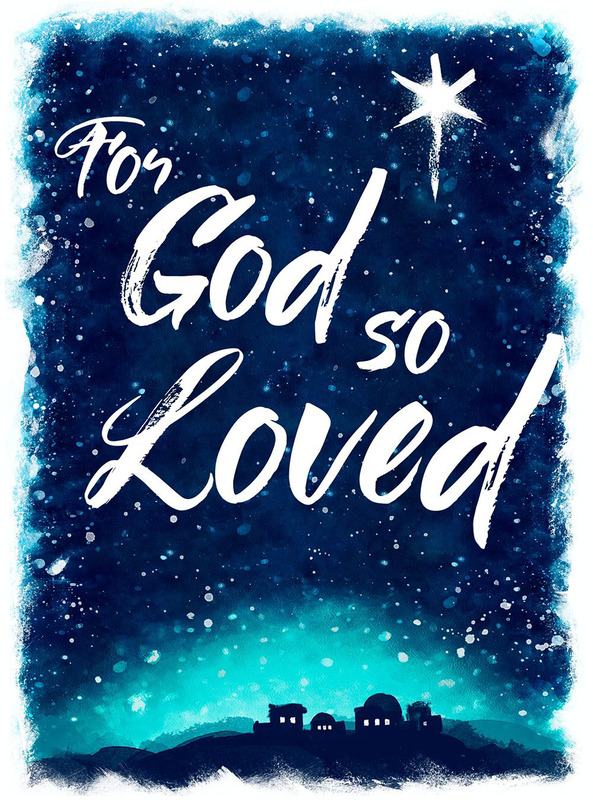 This is the main image of a Christmas campaign that includes a wider variety of print and digital media based around this visually and around the scripture of John 3:16. Digital illustration for themed Christmas marketing campaign. Artwork and design elements were applied across a range of materials including booklet covers, Christmas cards, social media, web pages, email banners, catalogs, and more.